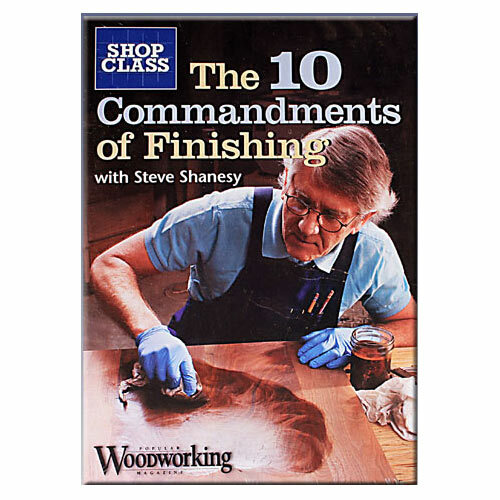 Finishing need not be the loathsome chore that awaits every woodworker at the completion of his project. Like woodworking, finishing is a skill that can be learned - and it doesn't require years of experience to get beautiful results. This video breaks down the 10 steps to achieving predictable, successful finishes that take your projects to the next level. From planning to final product, this video gives you the "road map" to your project's completion. Author Steve Shanessy is the former editor of Popular Woodworking Magazine and was a commercial woodworker specializing in custom furniture and finishing projects.